People are always surprised when I tell them that I really enjoy watching bad movies. It does appear a puzzle when it is written out like that. The word “bad” after all usually means something like unenjoyable, poor, miserable – all not good sounding words. Well, for starters – there are two types of bad movies. Films like Street Fighter: the Legend of Chun Li and A Nightmare on Elm Street fall into the boring bad (or truly bad) category. These are poorly made films without a lot of action or attempts at comedy. In other words, they are dull beyond belief. I do not (nor do I know of anyone) who enjoys watching this type of bad movie. The other type, however, is far more redeemable. These are the movies that are so bad that they are unintentionally funny. Films like Batman and Robin and Troll 2 fall into this category. These movies, while poor in script, acting, and direction can still be a lot of fun to watch – as long as the viewer is in a mocking mood. And, of course, the perfect compliment to any bad movie has to be RiffTrax. For those out there who have never heard of this service before, Rifftrax is made up of primarily three professional comedians: Kevin Murphy, Bill Corbett, and Michael J. Nelson. They specialize in a brand of “make fun of” comedy and have been doing it for years. 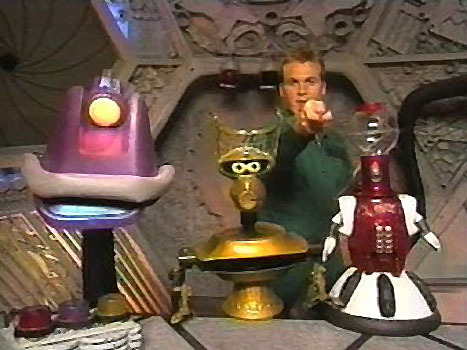 The three actors gained fame on Mystery Science Theater 3000 (MST3K for short), a show that originated the idea of professionally mocking bad movies. It is exactly what it sounds like: these three watch the films ahead of time, write out jokes, and then perform them during the course of the movie. This simple action can be nothing short of brilliance and shows that anything, no matter how obtusely bad, can be improved with laughter. One guy and three robots watching bad movies in space on a ship shaped like a dog bone… I can’t make that up. Suddenly that movie becomes a lot more watchable. Granted, Rifftrax cannot save every bad movie. That first group that I mentioned can be hard to salvage. Recently I had the pleasure of attending a Rifftrax Live event: Godzilla (1998). Yes, Rifftrax made me pay for a film that I never wanted to give money to again. They did an excellent job making fun of it, but Godzilla primarily falls into the boring bad category. It is a long movie where not much happens. While jokes help fill the gaps left by the script, it was hard to escape the tedium of watching the world’s least genuine Godzilla movie. So if you’re counting on them to turn crap into gold – sorry but that doesn’t happen, even in the realm of movie magic – it’s a service that is definitely worth checking out. The good people of Rifftrax have performed a feat that should not be discounted. They have taken something poor and made it better. Good on them for trying. Incidentally, the next live event is Anaconda. I don’t know about anyone else but I am really looking forward to seeing that film again… never thought I’d write those words.